To recap, whenever an investor wants to buy stocks listed abroad, they need to buy some local currency first. 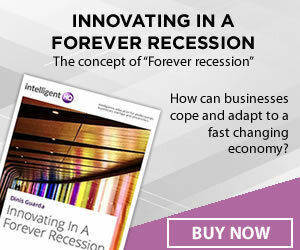 This drives up demand – and cuts supply – of that currency, pushing it upwards in price in relation to others. Therefore, it is easy to imagine the effect that stock markets such as the German stock market (the DAX) have on currencies. Whenever the DAX rises, we could reasonably expect the euro to rise as well, as investors need euros to invest in this market. Although it is not a perfect correlation, over time it has proven to be fairly accurate. 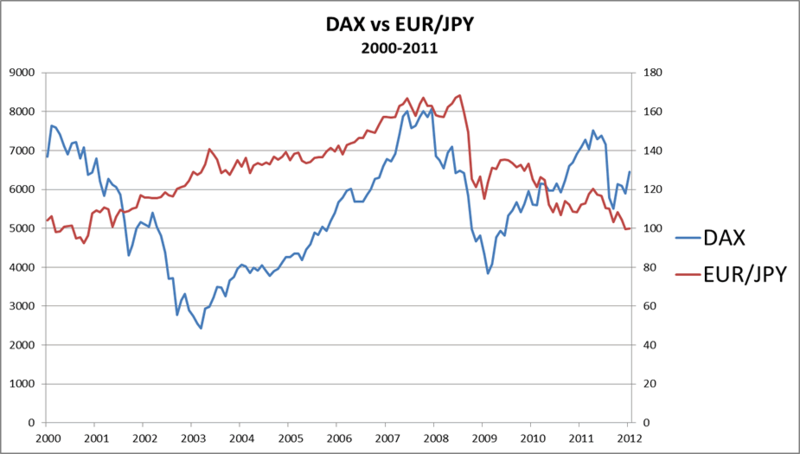 One currency pair that is particularly well correlated with global stock markets is the EUR/JPY. Like the US dollar, the Japanese yen is considered to be a ‘safe haven’ in times of economic uncertainty. Whenever confidence in the markets and the economy in general is low, investors tend to take their money out of the stock markets, leading to a drop in the values of indices such as the S&P500 and the DAX. As you can see, over the last decade the correlation between EUR/JPY and the DAX has been relatively close, with both being on an uptrend until peaking just before the financial crisis hit in 2007. Gold price rises: USDX, USD/CHF, and USD/CAD tend to fall due to investors dumping dollar in favour of gold, considered a safer store of value. AUD/USD and NZD/USD tend to rise because Australia and New Zealand are major gold producers, and EUR/USD may also rise as, like gold, the euro tends to have an inverse correlation with the dollar. Oil price rises: USD/CAD tends to fall, as Canada is one of the biggest oil producers in the world. Nikkei falls: USD/JPY tends to fall, as investors flock to the safe haven yen in times of economic uncertainty.